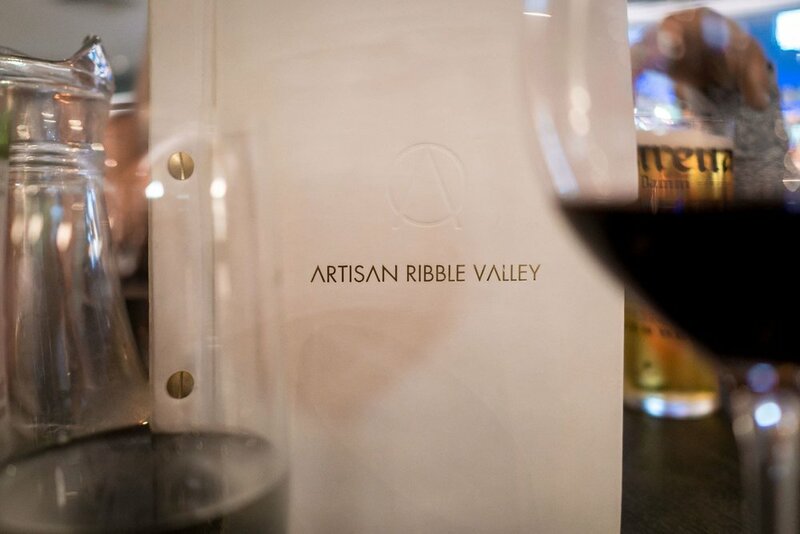 Always on the hunt for somewhere new and fancy we found ourselves at Artisan Ribble Valley last month to celebrate Danielle's dads birthday, a newly opened fine dining restaurant in Lancashire serving up local artisan produce. The overall look & feel of Artisan looks beautiful in its country setting but also wouldn't look out of place sat in the heart of Manchester. It's architecturally striking with its large glass heated terraces and rooftop terrace visible from the front, with a breathtaking big cocktail bar as soon as you enter decorated with low hanging lights and velour chairs. The inside has really relaxed contemporary vibes and it's nice to see a restaurant that's not squeezing as many tables in as it possibly can. The wine & gin menus are pretty envious with such a large selection of premium brands, although we did feel that the drinks aired on the pricier side. 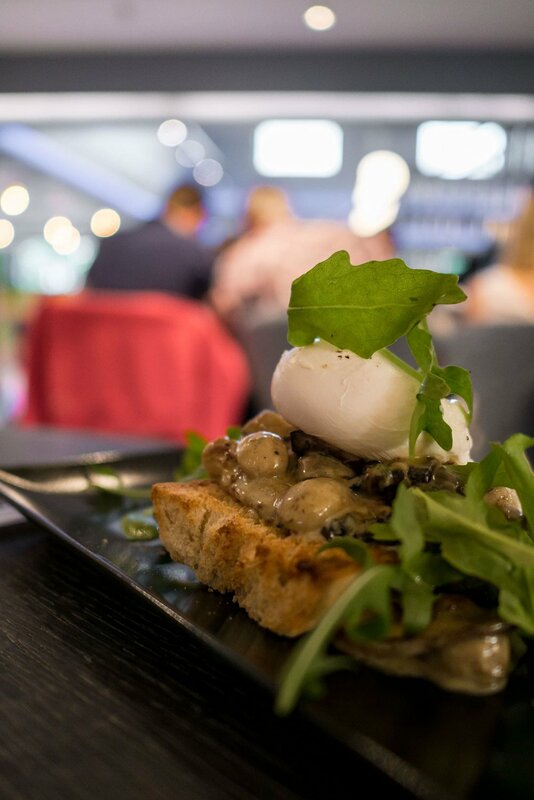 The food menu offers up a variety of different dishes & cuisines so you can expect to be able to order anything from pizzas and pies to chicken schnitzel salads and Goen fish curry, all with a premium upgrade. We were lucky to sit next to the open kitchen so could watch the chefs beautifully plating dishes, however it did make choosing what to eat more difficult as we wanted to eat everything that travelled past. 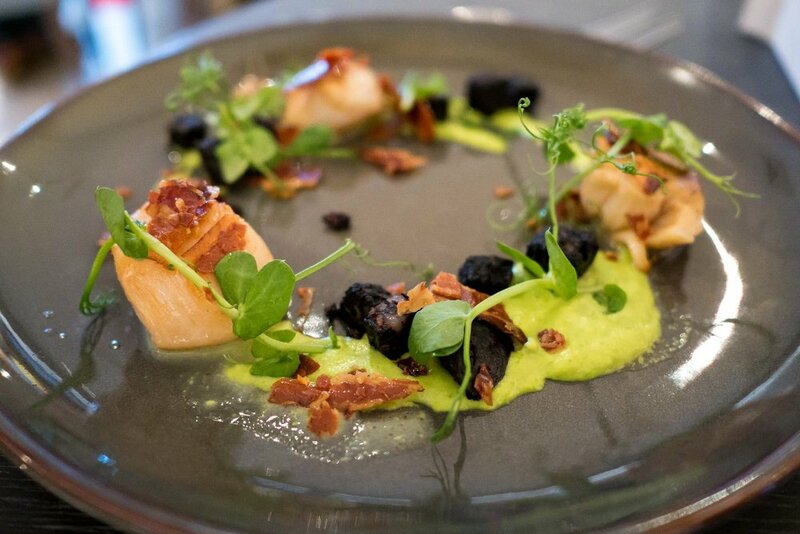 Personally we'd say the food quality is not too dissimilar to that of Honey Restaurant at Hotel Gotham although those beautiful city skylines do add so much to your meal! 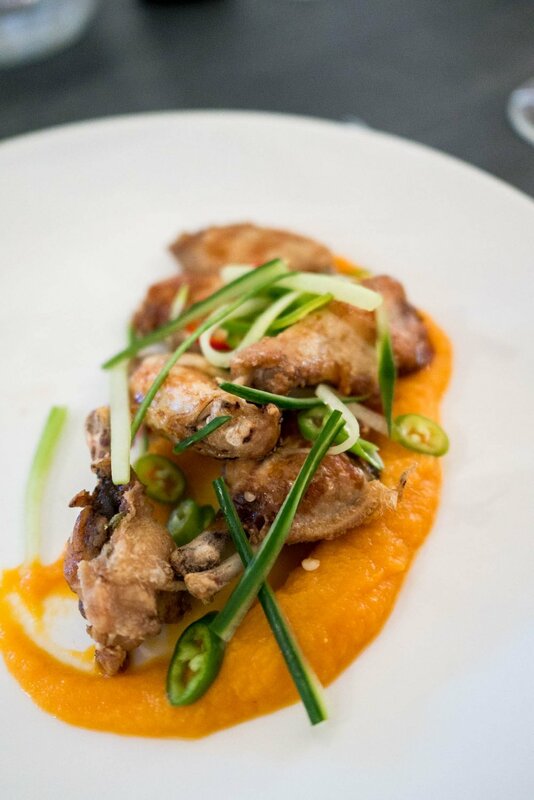 Stand out dishes would have to be the sticky Korean wings with carrot & miso (were a little bit miso obsessed at the moment!) 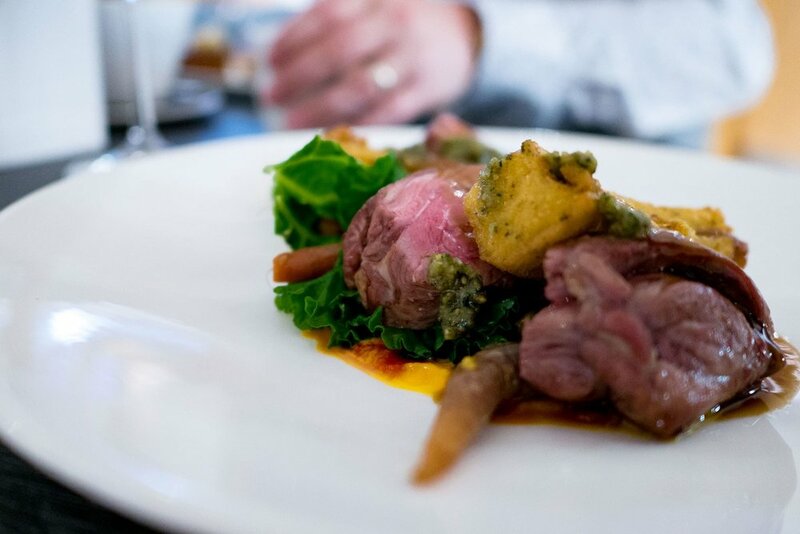 and the rump of lamb served with polenta chips, wilted kale, pesto and buttered carrot puree (even just writing this is making us salivate thinking of how good it was). That said, there wasn't a bad dish on the table so we'll definitely be returning! 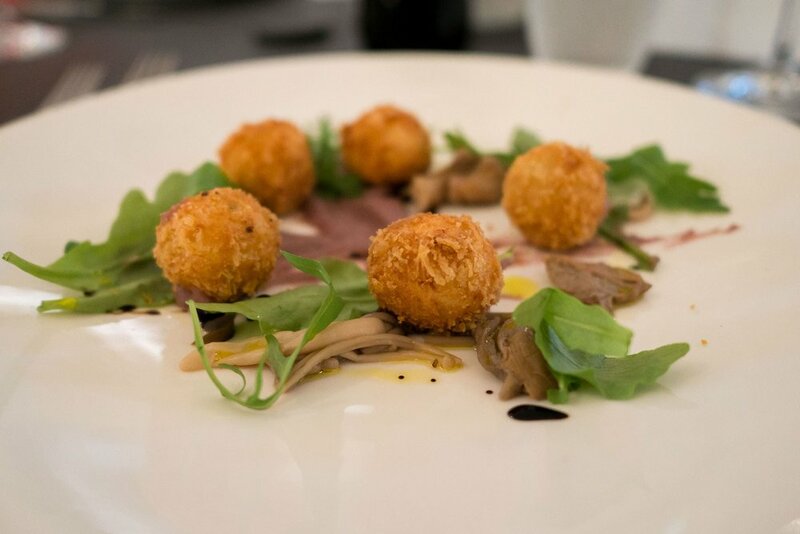 If you've got a free weekend we'd recommend escaping to Artisan and seeing what they've got to offer although we'd suggest booking ahead as they do get pretty busy!